Colorado Springs, Colo. – Colorado Springs and the El Pomar Youth Sports Park have been selected to host two premier Adrenaline Lacrosse events in July 2014. Adrenaline Lacrosse, based in San Diego, Calif., has selected Colorado Springs over several other locations in the western United States to host two milestone competitions. 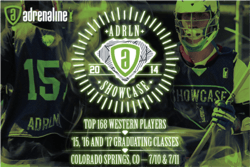 The 2014 Adrenaline Showcase will be held July 10-11, 2014 at El Pomar Youth Sports Park. This extremely selective, invite-only individual recruitment event will be attended by the top 5 percent of players from west of the Mississippi River. With representation from the majority of top National Collegiate Athletic Association (NCAA) Division I, II and III and Men’s Collegiate Lacrosse Association lacrosse programs, 75-100 recruiters from all levels will attend this event to evaluate the top talent. Players are placed on teams and participate in a myriad of valuable high level clinics and seminars led by NCAA coaches while competing in a series of top-level games. With a collegiate placement success rate of 84 percent, the Adrenaline Showcase is a premier recruiting event. 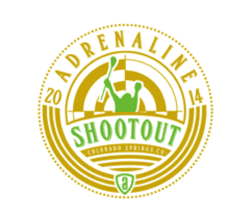 The 2014 Adrenaline Shootout Tournament team event will follow the Showcase with 50 elite high school-level teams expected to compete in a minimum of seven games each from July 11-13, 2014. On Friday, July 18, 50 middle school and youth-level teams will take over the fields at El Pomar Youth Sports Park to compete for the second weekend’s championship. All Star teams will be selected from all teams both weekends. The Adrenaline Shootout has become known over the years not only for the high level of competition on the field, but also the amazing time the kids have off the field. “El Pomar Youth Sports Park is honored to work with Adrenaline Lacrosse to host these events in our incredible community,” said Eric Parthen, Executive Director of El Pomar Youth Sports Park. For more information and a full schedule of events for both the 2014 Adrenaline Showcase and 2014 Adrenaline Shootout, go to http://www.adrln.com/events/2014-adrenaline-boys-showcase/ and http://www.adrln.com/events/2014-elitehs-shootout/ respectively. Opened for play in June 2000, El Pomar Youth Sports Park is a 58-acre outdoor youth athletic facility in southwest Colorado Springs, Colo. that is home to nine grass baseball/softball fields, nine soccer/lacrosse fields (including eight grass fields and one artificial turf field), and an inline hockey rink. Owned and operated by Colorado Springs Youth Sports, Inc., a 501(c)(3) nonprofit corporation, El Pomar Youth Sports Park prides itself on its first-class facilities and nearly 100,000 annual youth playing opportunities. View the Full Press Release! 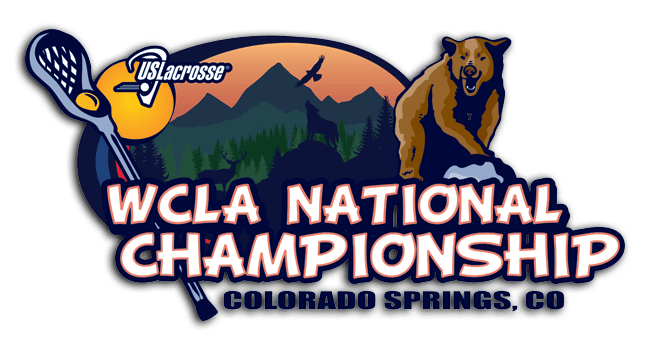 Colorado Springs, Colo. – Colorado Springs Youth Sports, Inc. (CSYS) and the El Pomar Youth Sports Park are onored to host the 2012 and 2013 US Lacrosse Division I and Division II Women’s Collegiate Lacrosse Associates (WCLA) National Championships. All games are free and open to the public. The 2012 WCLA National Championships will feature the top women's collegiate club teams in the country, with sixteen of the top Division I and eight of the top Division II women's collegiate lacrosse teams descending on Colorado Springs May 9th – May 12th for competition on the newly renovated fields at the fifty-eight acre El Pomar Youth Sports Park. Lacrosse is currently one of the fastest growing sports in the US and this event will be a showcase of some the nation’s best talent. This premier event is also estimated to bring approximately one million dollars in economic impact to the City of Colorado Springs. In the Division I bracket, two Colorado teams have clinched spots in the National Championship Sweet Sixteen. The talented Colorado State Rams, have won the Division I National Championship three out of the last four years. After a slow start to the 2012 season, the Rams won 11 straight games including a 18-12 victory over state rival Colorado to win the Rocky Mountain Women’s Lacrosse League Championships. Despite losing to the Rams in the league championships, the Colorado Buffs enter the WCLA Championships as the number 5 seed. Along with the Rams and the Buffs, rounding out the top five teams in the Division I bracket include UC Santa Barbara (14-2) in the No. 2 seed, Michigan (12-4) as the No. 3 seed, and Florida (16-3) in the No. 4 spot.